Customized w/ your logo Uniball Grip Fine Roller Ball Pen company pens. The most comfortable pen in your hand, choice of colors, comfort grip. Uniball Super Ink is the smoothest writing and an indelible ink pen. Uniball Grip Fine Roller has a 0.7mm ball producing 0.5mm line. Normal delivery from date of a order for this pen is 2-3 weeks. 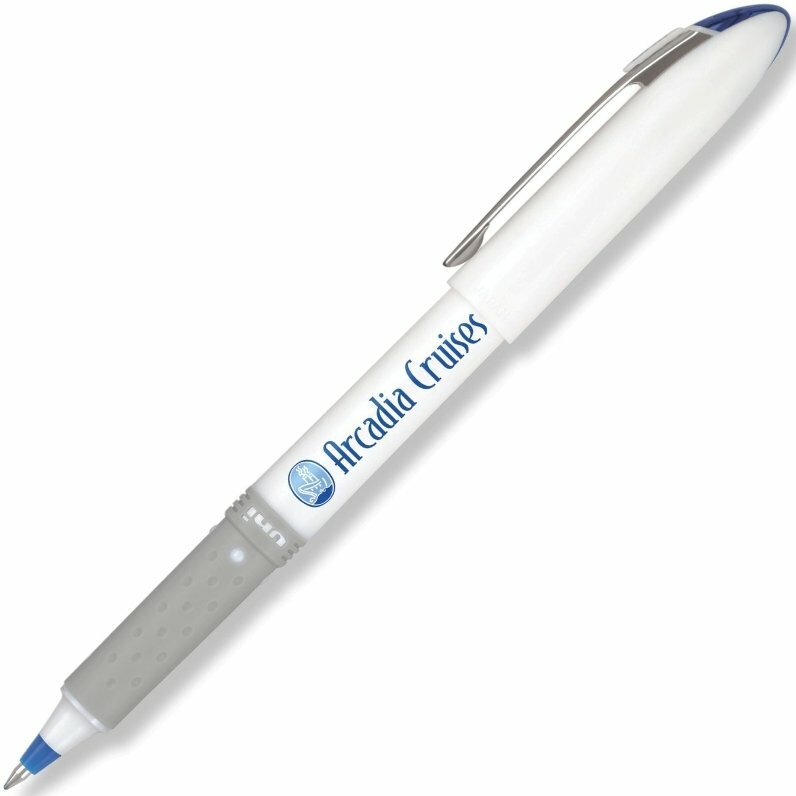 When your company logo is on the pen - make it a - Uniball. Price includes one color imprint on the barrel 1.50" w x .75" h.